U.S. citizens and green card holders are taxed on their worldwide income. This means it doesn't matter where you live or where you earned the money. As our tax attorneys often point out, if you hold a green card or are a naturalized U.S. citizen (or a citizen by birth) you must pay tax in the United States, you must file Foreign Bank Account Reports (FBARs), and you must file all tax documents with the IRS. 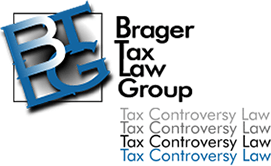 Willful failure to do so can result in criminal tax charges and/or civil tax fraud penalties. Many U.S. citizens and green card holders are deciding to expatriate to avoid these types of tax problems. We use the term expatriation on our website to include not only the process of giving up your U.S. citizenship but also apply it to those individuals who are green card holders and decide to terminate that status. In 2015, according to the Treasury Department, almost 4,300 persons either gave up their U.S. Citizenship or their green cards. For the first three-quarters of 2016, that number was 3,046. Assuming that the fourth quarter of 2016 stayed on track, then the number of expatriations in 2016 will be around the same. Some believe that the statistics published by the Treasury Department are understated since they are a bit lower than FBI statistics. Whatever the exact number, many U.S. persons are giving up their U.S. connections for a variety of reasons. Those reasons often include a desire to save on taxes, but it is not that simple. An individual can cease to be a citizen or green card holder, under the pertinent provisions of the Immigration and Nationality Act (the "INA"), and yet continue to be a citizen or green card holder for tax purposes subject to all of the requirements of the Internal Revenue Code. Exit Tax. A U.S. citizen or long-term U.S. resident who expatriates after June 15, 2016, is deemed for all federal income tax purposes to have sold at fair market value all of his or her worldwide assets in a taxable transaction on the day before the expatriation date if such a person is a "covered expatriate." Example: You receive a parcel of raw land in India as a gift from your grandfather who has never visited the United States. At the time he purchased the property, it was worth $1,000. When he gave it to you it was worth $100,000 and you had not yet moved to the United States. Today it has grown in value to $1,500,000. Generally speaking, when you receive a gift of property you receive the same basis as the person who gave you the property. In this case, that would be the original $1,000 he paid. Assuming you are a "covered expatriate," you would pay capital gains tax on the $1,499,000 "profit" (less an exemption amount), even though you haven't sold it! Currently, the United States has treaties with only 5 countries to collect taxes outside of its territorial boundaries. However, that will probably change in the future as more countries agree to amend their treaties to allow the U.S. to collect its taxes from their citizens. The date the individual renounces his. U.S. nationality before a diplomatic or consular office of the United States. The date the individual furnishes to the U.S. Department of State a signed statement of voluntary relinquishment of United States nationality, confirming the performance of a specified act of expatriation. The date a U.S. court cancels a naturalized citizen's certificate of naturalization. However, unless the U.S. Department of State issues to the individual a certificate of loss of nationality, then the first two methods are ineffective. Therefore, it 's important that you obtain a certificate of loss of nationality if you are a citizen. Otherwise, you are not done with U.S. taxation. It's a little different for green card holders. For tax purposes, if you initiate the abandonment of the green card, resident status is considered to be abandoned when the individual's application for abandonment USCIS Form I-407 or a letter stating the alien's intent to abandon his or her resident status, with the Alien Registration Receipt Card (INS Form I-151 or Form I-551) enclosed, is filed with the US Customs immigration Service or a consular officer. Treas. Reg. Section 201.7701(b)-1(b)(3). Even if you file the I-407 it doesn't end there. You must also file IRS Form 8854, the Initial and Annual Expatriation Statement. On that Form 8854, you must certify under PENALTIES OF PERJURY that you have complied with ALL of your tax obligations for the proceeding 5 years. If you have not reported all of your foreign accounts on your tax return for the previous 5 years, then you haven't fulfilled your tax obligations. Even if you participated in the Internal Revenue Service's Streamlined Procedure, that by itself doesn't fulfill the obligation to be in compliance for the previous 5 years. Failure to file the Form 8854 will automatically cause you to be a "covered expatriate" subject to the exit tax, even though you would otherwise not be a covered expatriate. Covered expatriate subject their heirs to additional taxation. Unfortunately, untangling yourself from U.S. taxation will probably require the services of a tax attorney who is skilled in the process, as well as an immigration attorney. Proper planning can reduce or eliminate the exit tax. We have been through the process before, and we can help. Call us at 310-208-6200 to arrange for a consultation.